So whenever I think or recommend any eyeshadow for myself or for other the first brand name come into my mind is COLOURPOP. 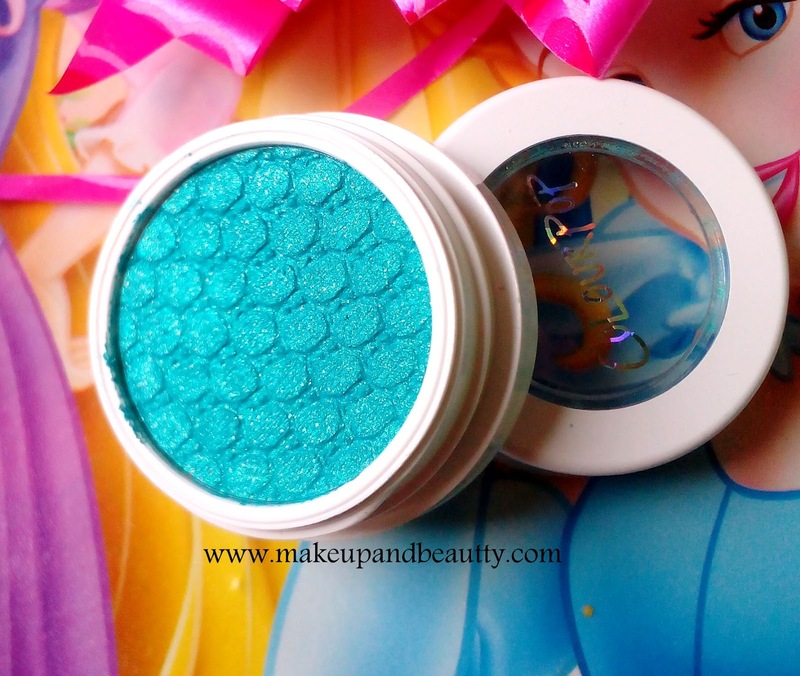 Colourpop is one international brand that comes with some awesome eyeshadow quality at an affordable price. Now they have a huge variety of eyeshadows so everyone can have their convenient kind of eyeshadow in their stash. 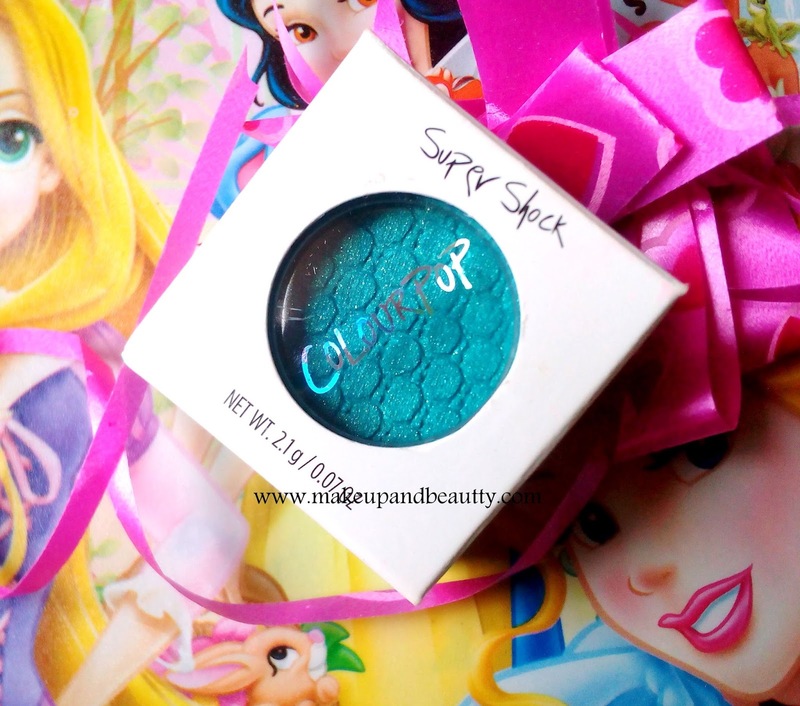 They have single super shock eyeshadows, refill eyeshadows and eyeshadows palettes (reviewed here ). 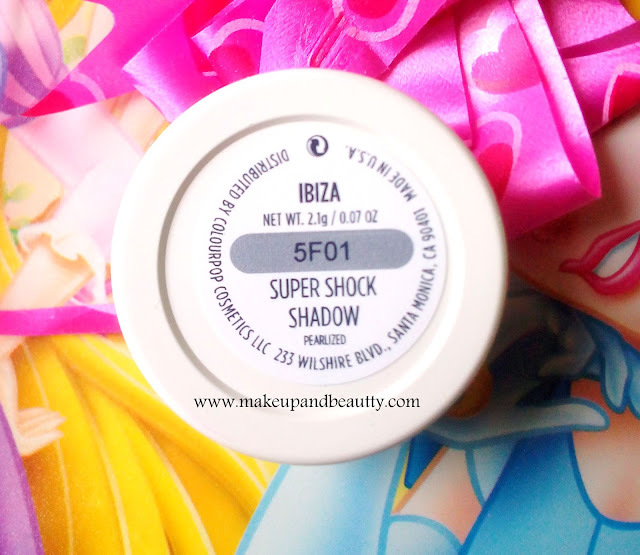 Today I am going to talk about the colourpop super shock eyeshadow in shade IBIZA. Availability:- colourpop website here , Instagram sellers. Colour Pop Super Shock Shadow IBIZA is a Bright turquoise with a silver and gold duo chrome finish. DIMETHICONE, CALCIUM SODIUM BOROSILICATE, CYCLOPENTASILOXANE, TRIMETHYLSILOXYSILICATE, ISODODECANE, BORON NITRIDE, SILICA, C30-45 ALKYL CETEARYL DIMETHICONE CROSSPOLYMER, CYCLOHEXASILOXANE, DIMETHICONE/VINYL TRIMETHYLISILOXYSILICATE, PHENOXYETHANOL, DISTEARDIMONIUM HECTORITE, GLYCINE SOJA (SOYBEAN) OIL, MANGIFERA INDICA (MANGO) SEED BUTTER, PROPYLENE CARBONATE, ETHYLHEXYLGLYCERIN, TIN OXIDE, CUCUMIS SATIVUS (CUCUMBER) FRUIT EXTRACT, BLUE 1 LAKE (CI 42090), CHROMIUM OXIDE GREENS (CI 77288), IRON OXIDES (CI 77491), MICA (CI 77019), TITANIUM DIOXIDE (CI 77891). 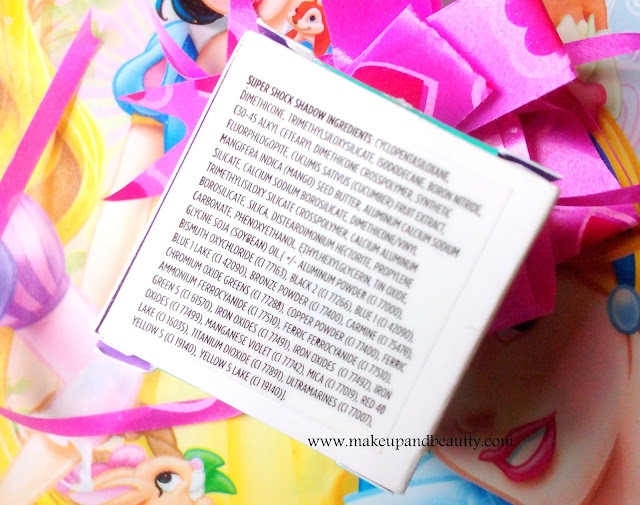 The super shock eyeshadow comes in a small pan like the packaging. The lid of the pan open with a twist up. 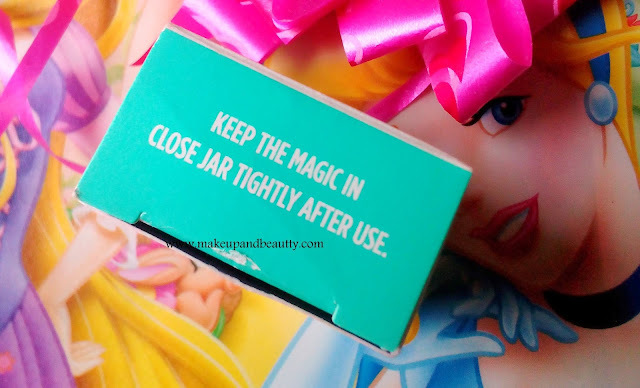 Once used it is suggested to keep the pan tightly closed to avoid drying of eyeshadows. 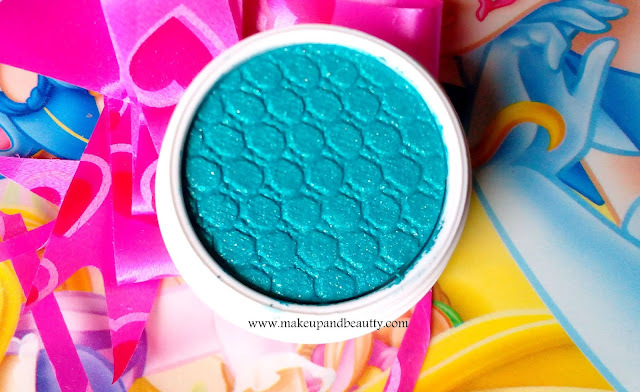 The super shock eyeshadow Ibiza is a beautiful turquoise color that is just perfect to create any party look. The shadow is super soft in texture. If one touch with a finger then they can feel the buttery texture of it. The shadow is super pigmented. It works equally good with or without a wet brush. The shadow has no fallouts and that's why is mess free. 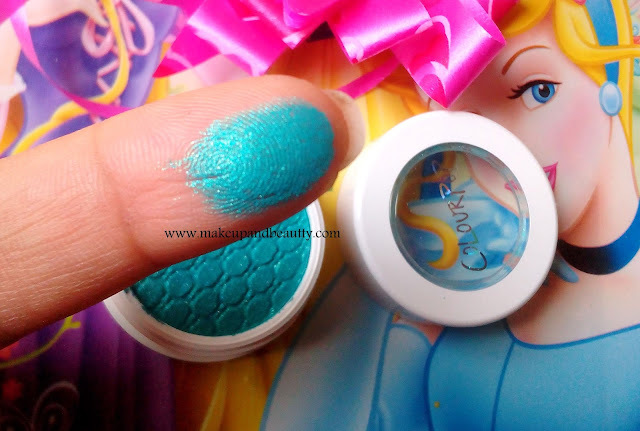 The shadows stay forever on the lid until one remove it with a makeup remover. 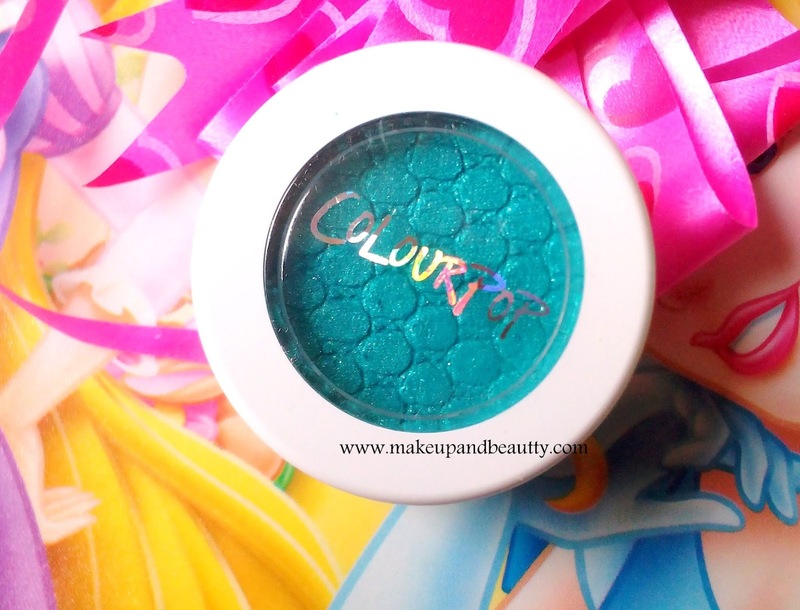 Overall a great eyeshadow in an affordable price. 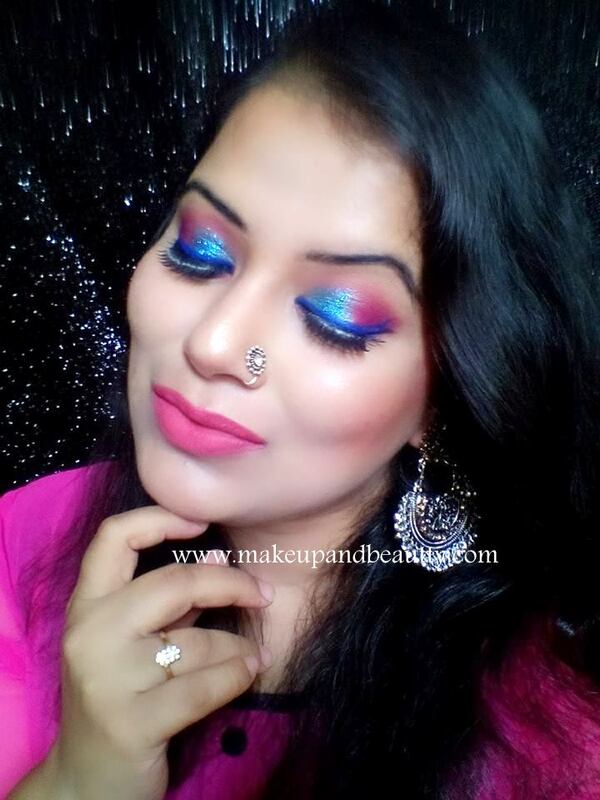 If you don't like this particular shade then definitely check out all the other shades in this range, I am sure you can find out at least one shadow of your choice. Applied the eyeshadow IBIZA on inner corner of one third of upper eyelid.